The 4% rule, which financial planner Bill Bengen developed in the mid-1990's, has become a benchmark in retirement planning. Discover what you need to know to put this rule into practice in your preparing for your future. Are you familiar with the 4% rule and how it relates to retirement? Let's find out. Choose one of the options below. a) The average amount of your retirement time you'll spend looking for something you misplaced. b) The average annual amount of time you’ll spend getting medical care. c) How much of your nest egg you should withdraw annually for living expenses during retirement. Hopefully, you chose the last option. Financial planner Bill Bengen developed the 4% rule in the mid-1990's. Bengen estimated that if a retiree removed 4% of the total value of retirement savings in the first year of retirement and withdrew 4% in each subsequent year after adjusting for inflation, the retiree should have a nest egg that lasts at least thirty years. For example, assume you have a $400,000 nest egg. The first year's withdrawal would be 4% of $400,000, or $16,000. If inflation over the first year was 2%, multiply the $16,000 by 1.02 to get a second-year withdrawal of $16,320. Each year, you re-adjust based on the current inflation rate. 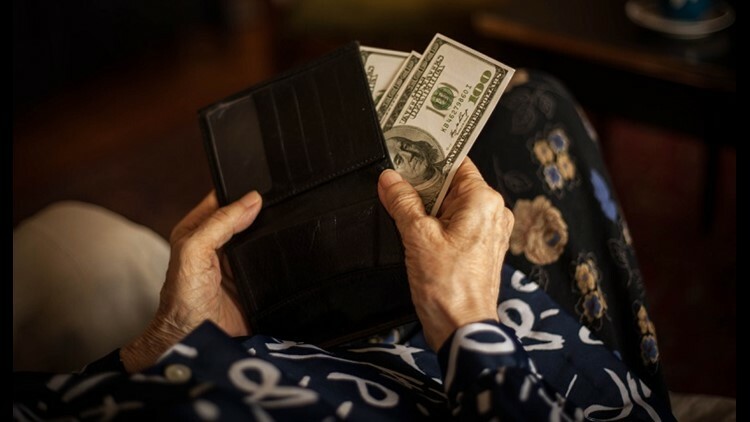 As a rule of thumb, the 4% rule has worked reasonably well over the years – but every retiree's situation is different, and adjustments are required. Stock market changes, unexpected expenses, and altered retirement plans may require you to slide the percentage up or down. The 4% rule was developed assuming a standard 60/40 ratio of stocks to bonds. Many retirees have shifted to a higher percentage of bonds to reduce the risk of a stock market crash – meaning their investments are not earning as much as the 4% rule's assumption. In addition, current interest rates are far lower than in the 1990s when the 4% rule was developed. Bonds generate less income today than they did in the 1990s. Even with these limitations and corrections, the 4% rule has generally provided thirty years' worth of retirement income throughout the years. Take genetics and medical advances into account. The Society of Actuaries has estimated that as of 2016, men have a one-in-four chance of reaching age 93 and women have the same odds of reaching age 96. If you plan on retiring earlier and are likely to live longer, you may want to adjust the 4% rule down to 3% or 3.5% in the early years and re-evaluate later. The 4% rule can be useful in the working years to determine if your retirement savings are on track to meet your goals. Estimate your annual spending in retirement and subtract your anticipated annual Social Security benefits from that number. That's the annual gap that you need to fill with savings. Let's assume that gap is $40,000. Multiply that number by 25 (the same as dividing it by 4%) and the result is $1,000,000. Using the 4% rule in retirement, that's roughly the size of nest egg you'll need. If you aren't on track to reach $1,000,000 by your planned retirement date, either increase your savings rate or scale back your retirement plans. You don't have to use the 4% rule, but you should have a solid plan for apportioning your retirement income. Account for all income sources including Social Security and verify that income falls in line with your spending expectations for retirement. Adjust according to your risk tolerance – if you're constantly worried about running out of money, lower your initial percentage and adjust later if you can. Have a plan before you retire, be prepared to adjust it during retirement – and then go forth and enjoy your golden years. What's Holding Up Your Retirement Savings? It's You.